· Renowned for summer sport for Bass, Mackerel, Garfish, Pollack and Bream. · For the above species (except Bass) the best methods are float fishing, slider or feathers. · If bottom fishing cast no more than 20 yards as the fish are often found within 5 yards of the wall with the exception of a few species. · You can catch pretty much any species including, Wrasse, Pout, Bream, Mullet, Bass, Sole, Flounders, Plaice, Eels, Trigger fish, Smoothhound, Thornback rays, Dogfish, Whiting, Dab, Rockling and Codling all depending on time of year, conditions and bait (details below). · Use a 2 or 3 hook paternoster/flapper if fishing the bottom for most species, nothing too fancy as there are snags. · Live Joey Mackerel and Mackerel heads/flappers can be good on a long snood for Bass. · Currently free parking. Visit the Tackle box for bait and equiptment (on map). Overview: The Brighton marina provides great all year round sport on either arm. The west arm is often very busy in the summer months with tourists and mackerel feather fishermen if you’re after less hassle but similar catches then I would recommend the east arm. Both arms fish well and catch similar fish with each having their day. In general there are a couple of different ways to fish either arm if you are pleasure fishing. Firstly if you are fishing the bottom, the best all round rig is the 2 hook Paternoster fished with king rag. Put a few beads on the snood nearest the bottom and this may increase your chances of catching flounders and plaice although other fish seem to like them as well. Most people make the mistake of casting too far out! The best way to catch fish is to only cast either down the side (near the rounded bits that come out of the marina wall, you will know what I mean when you see it) or a maximum of 20 yrds away from the marina wall i usually fish within 10 yards. This is because in general all the fish big or small stay close to the structure. So many people come down and cast as far as they can and catch nothing and I really can’t emphasise how much better your day will be if you fish in close. The only advice would be to bring a few rigs and weights as some bits are snaggy. The above methods work in summer and winter. The only other advice would be that if the water is choppy fish towards 20 yards out as the fish stay a little further from the wall in rough conditions. The best all round hook size would be a size 4 as this can catch big fish and small ones and increases your chance of having fun. The Second method is summer only and that is Float fishing with 1 or 2 hooks. 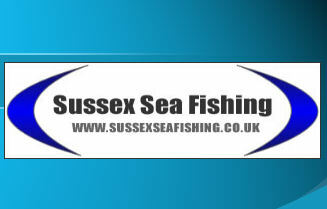 Use a light rod, mackerel strips and fish at about 8-15ft deep and vary your depth to find the fish. Again us size 4 hooks and you should catch plenty of mackerel and garfish. Summer: In the summer months the marina is probably one of the best all round spots in Sussex with species including: Mackerel, Garfish, Bream, Bass, Pollack, Mullet, Wrasse, Flounders, Plaice, Smoothounds, Doggies, Pout, Eels, Gurnard, red mullet, and even Trigger Fish. And there are probably more. Obviously you won’t catch every species in one session but dependant on the month, weather, bait and tackle you can catch any of these species at some point. Methods and dates to catch the species can be found on the fish guide. West Arm (short one): During summer months you are guaranteed Mackerel and Garfish. There are also a few very good Bass caught each year and some near the British record. The problem with the west arm in summer months is that you get a lot of the Mackerel masochists who just use feathers for 3 hours catch about 50 Mackerel each, which they kill and then don’t know what to do with, they also tend to be the people that leave litter everywhere. You also find that it becomes very busy on there and if you are float fishing you get bullied off or cast over left right and centre. Don’t get me wrong as it is a good place to fish and you have a 99% chance of catching if the weather is ok but it seems to attract a lot of idiots and after a few sessions like it you soon get annoyed. For example I was in the float fishing only bay and basically got crowded by a group of idiots who made it so difficult to fish that I left and used the other arm. I know that’s a one off but i have heard similar reports and after fishing it a few times in mid summer you will understand where I’m coming from. If you want to fish it I would suggest early morning or midweek sessions and these can be really good and highly productive. East Arm (long one): This arm is often perceived as being in the shadow of the west arm for catches in the summer, however this in fact is very untrue and i prefer to fish it as you get more space and a better days fishing. There are two main areas for maximum productivity regardng catches. These are pegs 20-30 (first bend) and 45+ (near rocks at end). The pegs can be identified by a yellow number on the wall at each fishiong bay. These areas produce the most catches of all the species mentioned above. You will catch Mackerel and gars all along the arm but from years of competition fishing on there, these seem to be the hotspots. You will catch Mackerel and Gars on most methods but float fishing (Rigs page) is the best. There is no specific distance for float fishing but i would cast out and let it drift right in. I often tend to catch them only a few yards from the wall. Use thin Mackerel strips for bait on size 4 hooks. Start float fishing at about 15ft deep and then get shallower if your not catching. A general rule is that fish deeper early in the year and shallower in summer. You will often catch pollack in close when fishing deep and the mackerel also prefer to stay deeper throughout the year with Garfish prefering shallow. 10-12ft is the best all round depth. If you fish a 2 hook rig down the side you can really catch anything and always keep an eye on your rod as there are always reports of someones rod being pulled in each year. After dark in the summer often sees plenty of smoothhound on the east arm most commonly taken on peeler crab baits, fished at about 60+ yards on a 1/0-3/0 hook. When i target them i tend to use a 1/0 on a clipped down 1 hook rig fished at 8oyards baited with peeler crab. i fish the east arm pegs 17 and upwards. if youy are fishing for these then be near your rod as they will pull it in. you must take a drop net for landing them and i would advise taking a picture, weighing them and returning them as they are not much good to eat. the smoothys are best fished for when the spider crabs are about and often may to july proves best numbers. you will also get pout and the other mentioned fish. In latter summer you will catch Sole after dark on worm baits. If its rough and the water is dirty you can get some very big eels with 2lb+ fish often caught. these are best fished for at distance on simialr set up to the smoothys with a 1/0 hook. when it is rough on the arms you are generally better off casting further out to avoid as this is where the fish tend to be, i think its to avoid the crashing waves on the arm. Winter: In the winter months the marina tends to be closed more often for safety reasons due to high winds. When fishable there are fish a plenty with Whiting, Pout, Codling, Dabs, Rockling and many more. Believe it or not but mackerel were still being caught in December and there were also Herring caught in Feb and March on feathers from both arms. East Arm (long one): The best area to fish is anywhere between peg 16 and 30 on this arm. You will catch any of the above mentioned fish on baits such as King rag, black lug, blow lug tipped with a strip of mackerel or squid. Peeler crabs are also an effective bait for codling so if you manage to get any and freeze them this could be a good time to use them. In the day it can be hit and miss but you will prbably be most likely to catch pout, whiting and dabs. After dark the fishing will often pick up with the sane fish showing up and often bigger in size, you also have the chance of picking up a codling. The above fish will be caught from anytime between Oct and Feb with Rockling showing up in Nov/Dec-April, between Feb-April the flounders and plaice will also begin to show in numbers. Due to the warmer southern waters you also have the chance of catching Bass throughout the year. I would suggest using a 2 or 3 hook paternoster (available on rig page or shop) for catching whiting, pout, dab and rockling, you also have the chance of catching codling on this rig. If your specifically after Codling then try a Pennel rig with a big bait on. make sure the hooks are bigger then 1/0 as whiting will take anything up to this. I have caught whiting smaller then the hook bait before. You only need a short cast (max 50yrds) as most of the fish stay near the marina wall as its a sorce of protection and food. You dont need to cast out too far as you are already fishing deep water and its not like you are fishing from the shore. If the water on the arm is choppy and coming over then i would recommend leaving as it can become dangerous but if it is only a little uncomfortable then try the very very end of the east arm past the rocks, there is only enough room for 2 people but you can fish into the harbour entrance and it can be fairly productive at times. West Arm (short one): I have little fished the west arm in the winter but I am assured it can be highly productive for all the same species mentioned above. The benefit of the west arm is that it is mostly sandy and has less snags. The sandy bottom will attract fish feeding on worms and the shell fish disturbed in the rough waters. I would recommend targeting Dabs flounders and Plaice from this arm as they will often prefer this type of sea bed. you will also catch the other species as well. Another benefit of this arm is that nearer the begginning you get a bit of surf which some of the fish like to feed in. If you are after plaice in the early part of the year i would advise fishing the very end of the west arm if its open and safe to do so as over the last few years I have heard many reports of people fishing for Plaice from here. There are many good fish to be had along this stretch of beach, the only problem is access due to the increased problems with parking in the area. In summer months the level of tourists make the beaches unfishable unless early morning or night time. Personally if fishing at night, I prefer Seaford beach as its less crowded and has less wierdos and nutters coming up to you whislt you are fishing during the dark, plus its still free to park in Seaford. FOR ALL ROUND fishing success along Brighton beaches the best rig to use is a 2 or 3 hook paternoster with size 4 hooks and beads on the bottom hook length and use king rag as bait because it is easily available from most bait stores (for more specific set ups read below). Locations: There are numerous spots to fish along Brighton beaches but for the purpose of this website the brighton beaches stretch between the Brighton Marina and the west pier. Between these marks there are a few main spots mostly associated with groins as these make the beaches more accessable and help attract fish. There are some great spots along Brighton beaches and its no coincidence that they are all near the groynes as this is where alot of the bait is held plus is a structure for fish to feel safe around. The spots covered in this section are the Banjo Groin (madera drive near the concorde nightclub), Peter pans near the banjo groin (the stretch of beach about 100yrds to the east of the banjo groin), The Palace Pier groin (next to the palace pier), The donut or east street groin (the one with the metal donut type thing on) and finally the West Pier beaches (although i dont know how snaggy they are since it collapsed). Each location will be mentioned below. Tides: The majority of fish are caught around the high tide as fish come in shore to feed on the goodies the incoming tide uncovers. However the best thing about Brighton beaches (especially the West pier and Banjo beaches) is that on the low tide you often get a great surf and mini breakers on the low tide which species such as Bass and Flounders like to feed in. This means that at some spots you can target bass at any state of the tide. You will sometimes find that Flounders and plaice will often take 2 hooks which brings me to the next rig, the wishbone. For more specific examples of how to make these rigs please visit the rigs page. An important thing to note is that these fish will more than often hook themselves and there is little need to strike especially because the vibrations of the hooked fish will result in other fish being attracted and result in a double or treble hook up. Summer: In summer Brighton beaches can provide good fishing but are subject to large numbers of tourists as said earlier. Therefore the best times to fish are early morning or dusk. This is ok as this is the best time to target most species from brighton beaches anyway. Throughout the summer months you can expect to catch Bass, Mackerel, Thornback rays, Sole, Scad, Garfish, Smoothound, Flounders, Plaice, Dogfish, Mullet and Pout. My most prefered spots on summer evening sessions are the Banjo groin and the beaches directly to the east of them two hours either side of the high tide. When fishing these spots on a summer eve i use two rods, one with a 2 hook paternoster or pennel rig and the other for spinning and lure fishing. This maximises my chand of catching a wide range of species as i can expect Mackerel, Scad, Garfish and sometimes Bass on plugs, lures and Spinners (my recommendation is a 32 or 28gm dexter wedge). On the other rod i will use either a bass type rig (often the Pennel rig) with either a fillet of Mackerel, lots of Peller Crab or any Bass bait you fancy trying, If i catch a joey Mackerel i may use it as a livebait on a long running ledger or possibly free lined. Alternatively i will use a bottom type trace for catching smaller fish that come in at night such as Sole. I will most often use the ever versatile 2 hook paternoster rig with one up one down (see rigs page for any rigs mentioned), i use size 4 hooks with some beads on the bottom hook length and possibly a small spoon type spinner. If the sea is relatively calm i will use a 5oz plain lead as this allows the tide to slightly move the bait about and cover an area of the sea bed. Autumn: The Autumn Season is much like the Spring season but in reverse. In recent years the Autumns have been calmer and warmer meaning that the summer fish stay around a little bit longer. On occasions you will catch Mackerel, Bass and Garfish in the day and then catch whiting, pout and sole in the evening. Winter: Brighton beaches are highly under ratted for winter fishing. On its day it can rival many local top winter marks. You can expect to catch Bass, Pout, Whiting, Dabs, Codling. Hot spot areas include the Banjo groin and the beach behind peter pans. They produce loads of whiting on winer tides in the day and night. Evening tides will produce the better fish and you will also have the chance of catching the ever rarer Cod. A range of baits work in winter but a good tip is to use worm baits with a slither of Mackerel or Squid which can be deadly for hooking double and triple shots of whiting. I often leave the bottom hook with only worm as this will mean that your more likely to have a chance of catching a Dab. After Christmas you will begin to catch Rockling and flounders from Brighton beaches. These are also excellent at this time of year and the beach directly behind king alfreds swimming pool is renowned for producing better catches as its a slightly deeper beach. Hove beaches fish pretty much the same as Brighton beaches and you can use many of the same methods. It is also a productive spot in the difficult months from Jan-Mar where there doesnt seem to be much about. In these months you will catch Flounders and Rockling with some of the Flounders being big ones. As Flounders are hunt using scent, vibration and sight things like bright beads, sequins and spoons are an effective way of improving your catches. Combine these with a bunch of wriggling ragworms (any type of ragworm) and you should catch a few. You could use a standard 2 or 3 hook paternoster with beads (as discussed above) or you could use a wishbone rig (rig page) as this can be a highly effective rig for flatfish. I would recommend using a normal weight not a grip weight (unless its really rough) because it allows your bait to cover plenty of ground and find the fish. The good thing is that you will also catch Rockling and other species of fish using these methods so if there are few flounders about you still have the chance of catching a few fish. You also have a good chance of catching Bass here in summer months as well as Garfish and Mackerel. There have been a few rays caught in early summer from the spot behing king Alfreds and this is also a good spot (as well as the rest of Hove and Shoreham) for catching Smouthounds on peeler crab in summer.